sam houston state | Out of the Box! 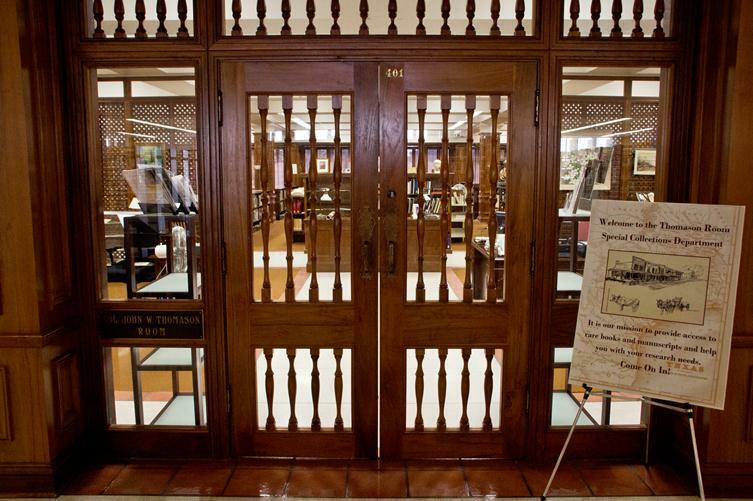 Most of the time we highlight manuscript collections belonging to Sam Houston State University at Out of the Box but like most archives we began as the rare book section of the library. In our rare book collection, we have small group of special format books. We have some books that are weird and wonderful. White Sands by Jill Timm is a book that runs on the wonderful side. It folds out into a photo of the White Sands National Monument in New Mexico. The cover comes with its own white sand. I was able to amuse myself for five to ten minutes just tilting the sand back and forth. The uispeccoll tumblr inspired us to get on the miniature book craze and explore our collections a little deeper. 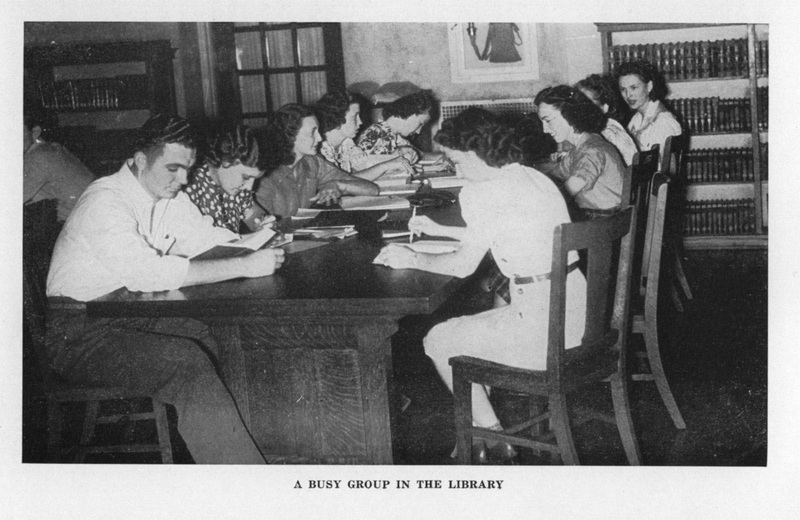 And in fact, many of the furnishings and decorations inside Thomason Special Collections have come together over time from across campus and time to create a space that celebrates our history but is also comfortable for research and study. 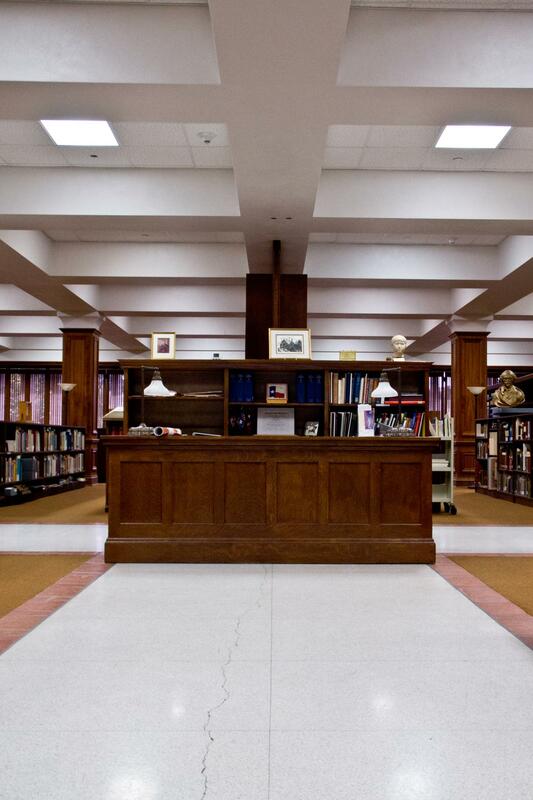 Though library furnishings change (we’ve gotten new carpet and upholstery this very year! ), and library materials change even faster than that (hello Ebooks!) it is wonderful to be able to house and actively use furniture and furnishings that date from the very early years of campus history. 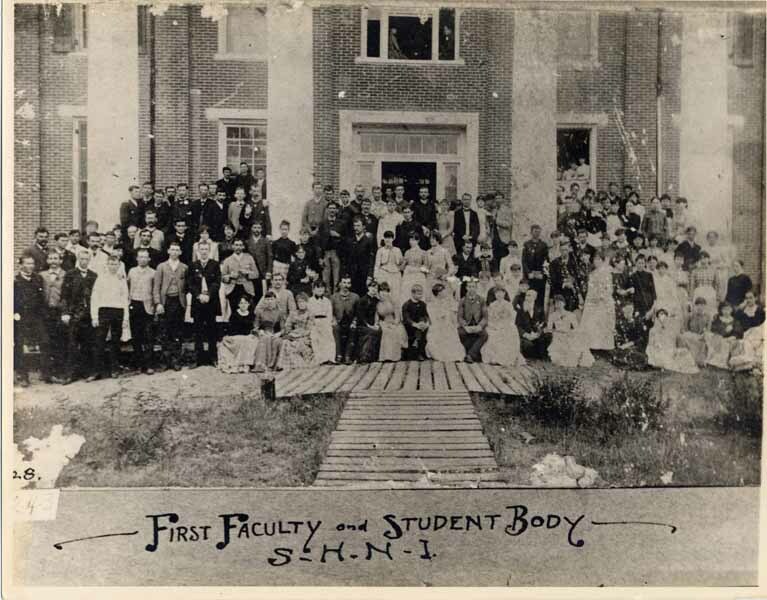 A picture of the first faculty and student body (1879-1880) at the Sam Houston Normal Institute which would eventually become Sam Houston State University. 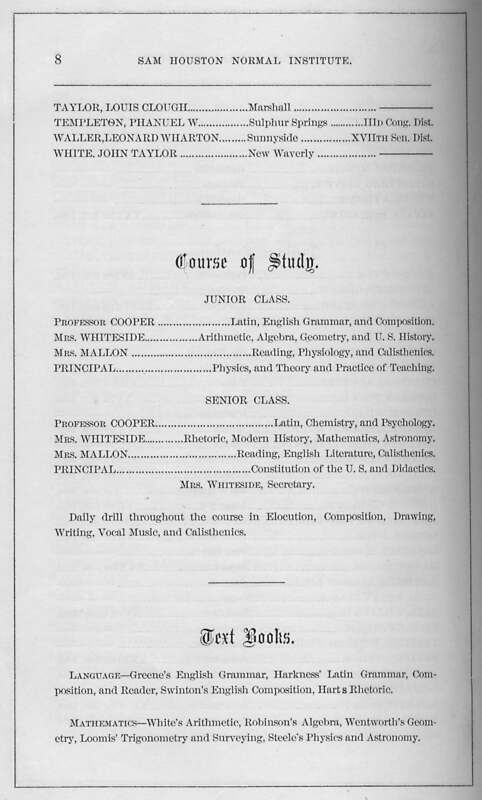 Here is a copy of the Catalogue of the Sam Houston Normal Institute, 1879-1880. 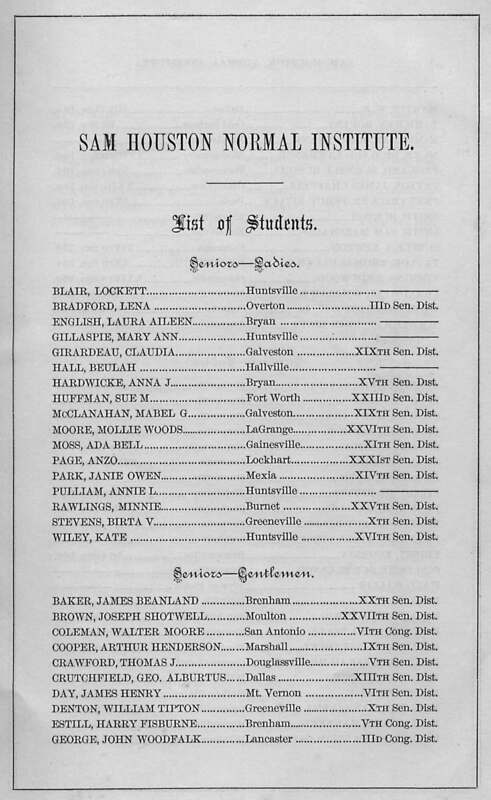 This document list the students by year and gender and provides some useful information about the people in the picture above. Enjoy! Today is International Women’s Day! To celebrate, we thought we would introduce you to a number of great and inspiring women that have set foot on the Sam Houston State University Campus. 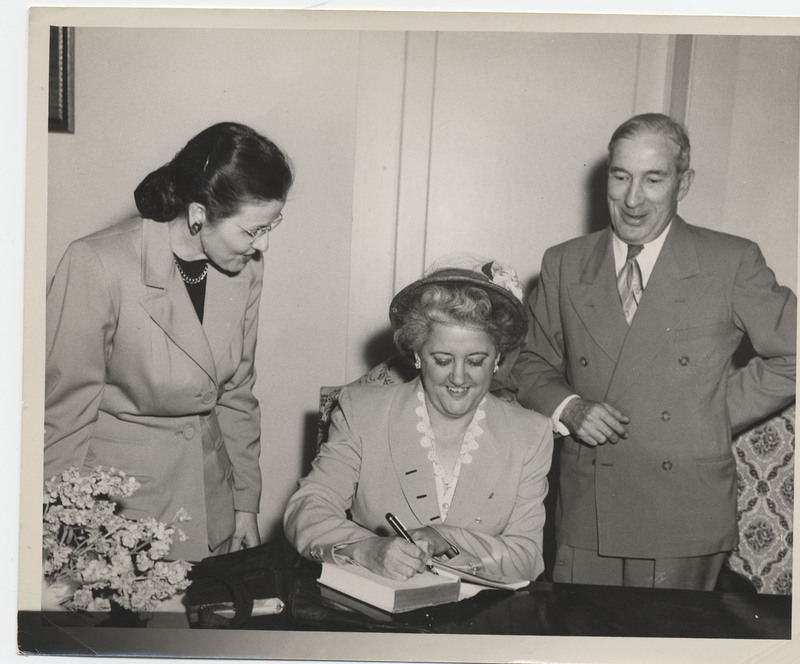 She authored the book A New History of Texas. Her novels include Joshua Beene and God , a satirical work about fictitious Church of Christ prophet in a small Texas town and Black Gold, a tale about a booming oil town. 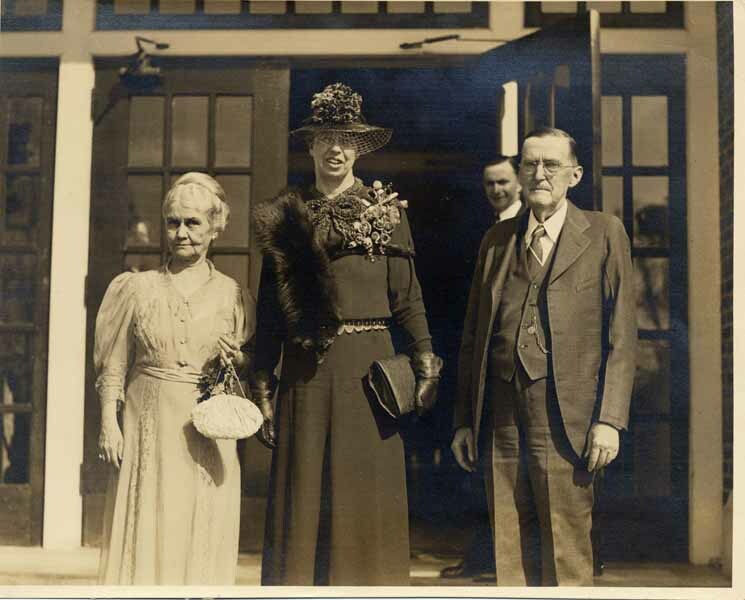 Mrs. Roosevelt never attended Sam Houston but did visit the campus on March 7, 1937. 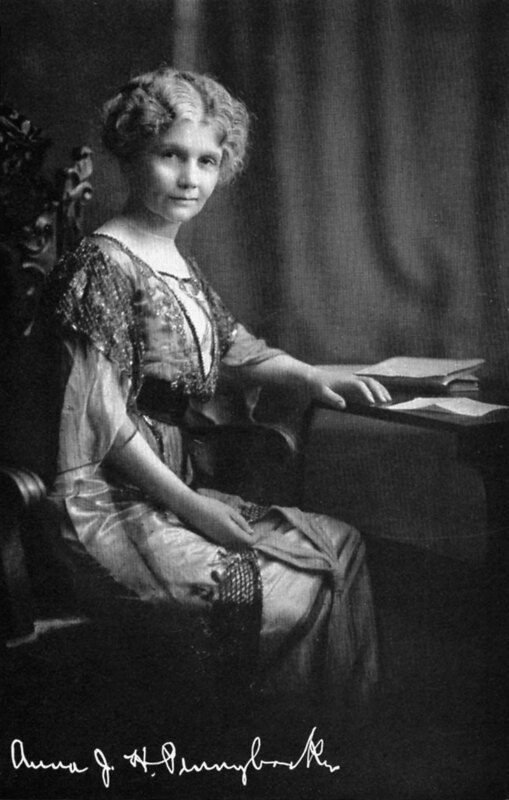 She was friends with Anna J. Hardwicke Pennybacker through her work with the Democratic party. 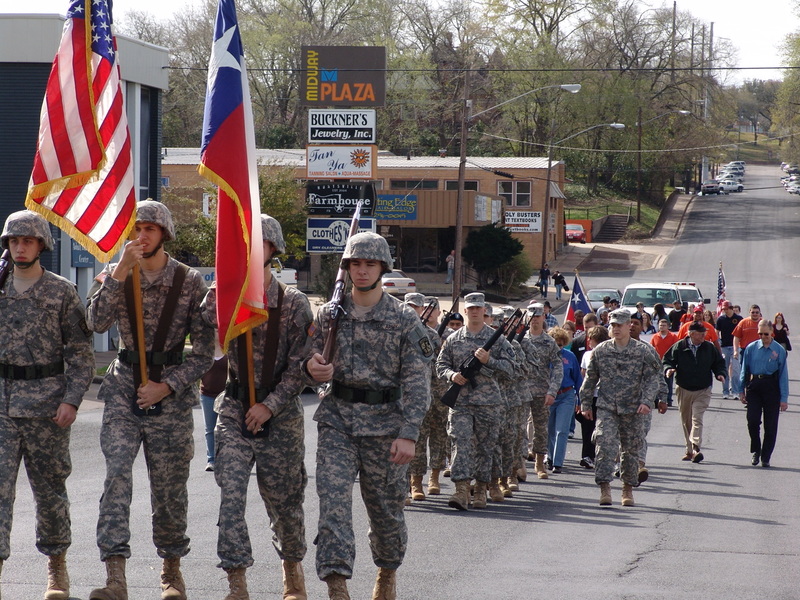 On March 2nd, the people of Huntsville, TX celebrate two important events. The first is Texas Independence day and the other is the birthday of beloved Texas hero General Sam Houston. To honor these two events, Huntsville residents throw a number of celebrations and tributes. 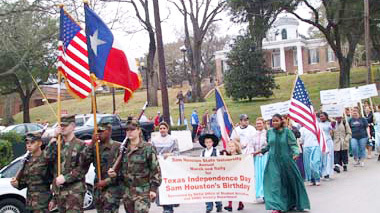 One of those tributes is a march to the grave of General Sam Houston who is buried in Oakwood cemetery. 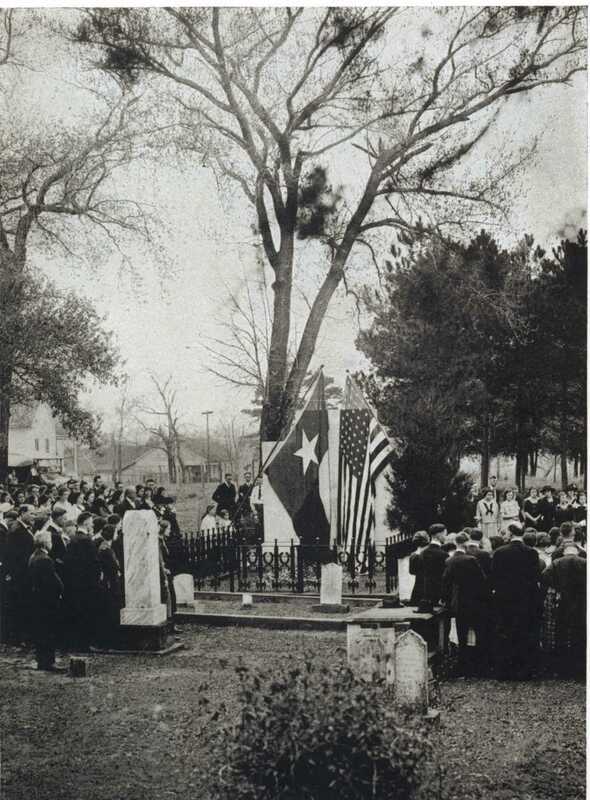 Starting in 1889, students, faculty, and others would march from Austin College building on the Sam Houston campus to Sam Houston’s grave. 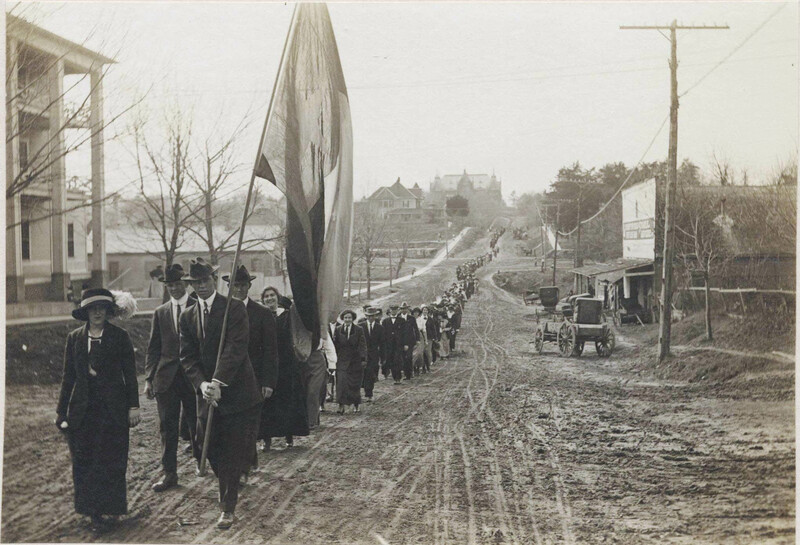 Check out these pictures of people marching to the grave throughout the years. If you are interested in learning more, check out this podcast on the subject from Cheryl Spencer, Library Associate in Special Collections. If you want to participate in the march, be at Austin Hall at 10:15 where the march begins. 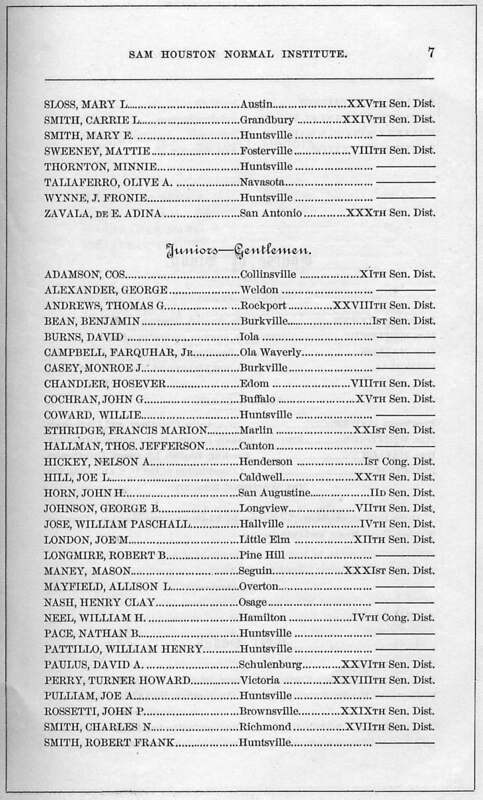 The ceremony at the grave begins at 11:00 am March 2nd, 2013 with Dr. Howard Horton as the speaker. 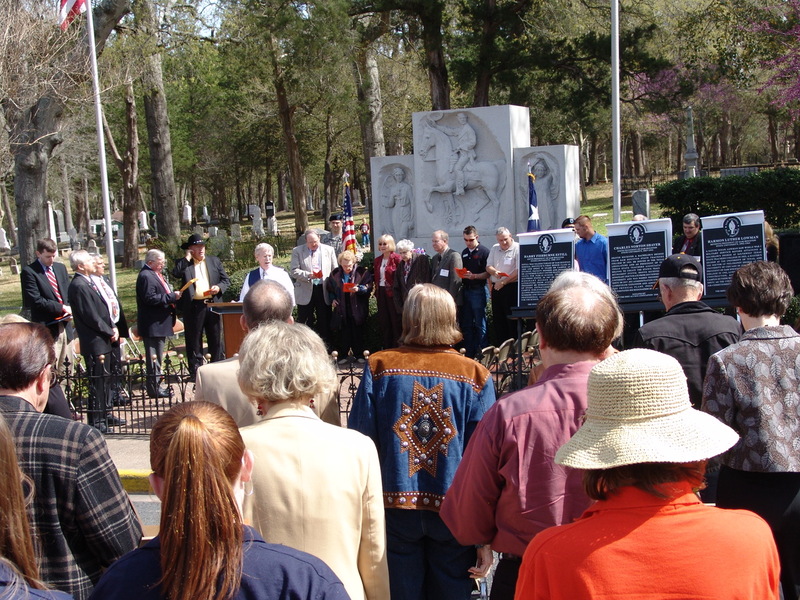 The Walker County Historical Commission will be hosting a “Toast to Texas” at the Sam Houston Statue and Visitors Center at 2:00pm on March 2nd as well. 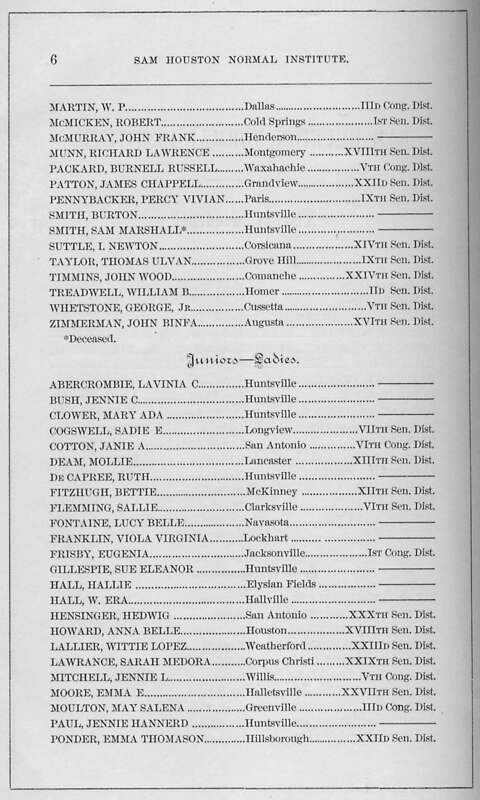 The purpose of this blog is to reach out to the students, faculty, and researchers in the Sam Houston State University community and those around the world who are interested in historical materials. Often rare materials can be remain unknown except to a few insiders. We here at Sam Houston State University are interested in getting the word out about the wonderful collections that are stored in Thomason Special Collections and SHSU University Archives as well as promoting collections we have digitized online. This blog will feature highlighted materials within our collection, finding aids which provide detailed description of collections, preservation and digitization tips from staff, and much more. We have got some great, weird, and interesting stuff for people to discover!